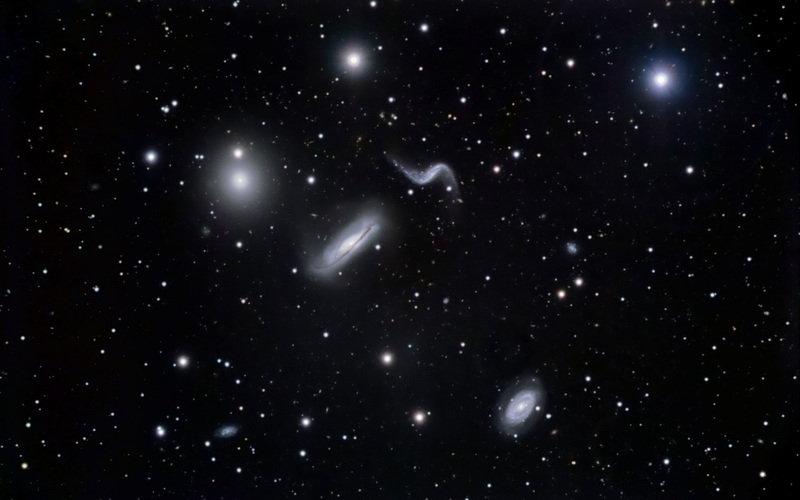 The four brightest members of Hickson Compact Group 44 are listed above, corresponding to the galaxies going from left to right in the image. The tidal streams of NGC 3190 and the distorted shape of NGC 3187 are evidence of gravitational interaction. 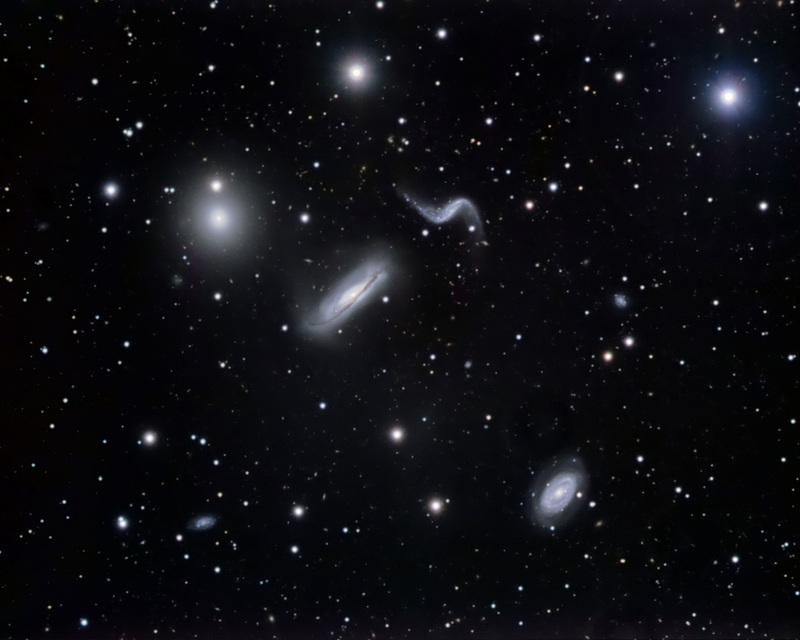 Hickson 44 is located about 80 million light-years from our galaxy. 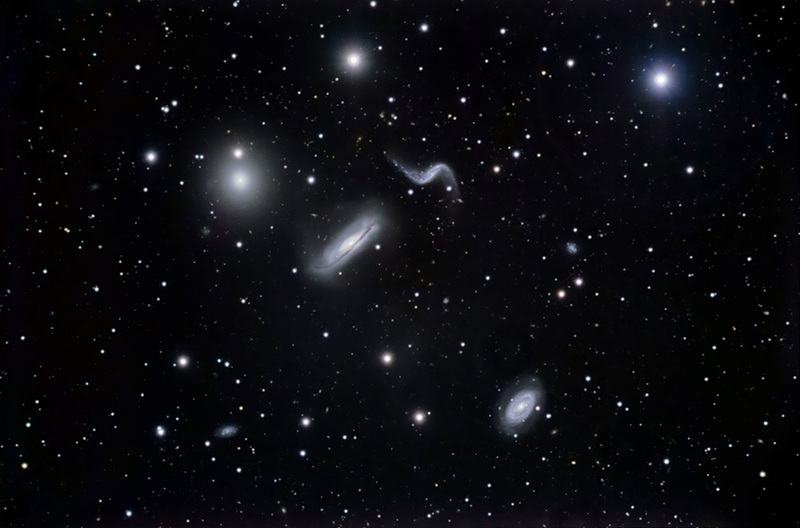 The full-resolution image shows many small galaxies in the background. Technical Notes: Individual exposures were dithered using CCDAutoPilot2 and then sigma combined. The RGB image was created in Registar 1.0. A high-pass filter was applied to portions of the luminance image. Reduce Noise and Gaussian Blur were applied to the dim portions of the RGB and luminance images. A duplicate of the RGB image was combined with the original using Soft Light to increase color saturation.